In an much anticipated statement, they confirmed today that they are buying the entire stake of Sky Italia and also a 57.4% interest in Sky Deutschland from Rupert Murdoch's 21st Century Fox. Mr Murdoch wants to sell these to BSkyB to free up cash for Fox, which is trying to buy media giant Time Warner, the company that owns Game of Thrones maker HBO and news business channel CNN. BSkyB will pay £2.45bn for Sky Italia and £2.9bn for Sky Deutschland. 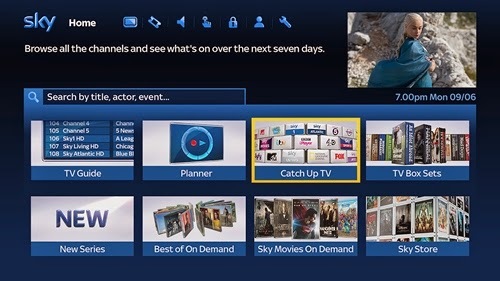 Sky is currently installed in over 11m homes in the UK and Ireland offering a comprehensive multi-channel choice of movies, news, entertainment, arts and sport. More and more consumers are choosing to get their phone, TV and broadband services in one package. The above expansion will promote New Sky to the number one pay TV provider in three of the four largest markets in Europe and increase the customer base from 11m to 20m. "This transaction will create a world-class, multinational pay TV business with enhanced headroom for growth and immediate benefits of scale. The three Sky businesses are leaders in their home markets and will be even stronger together. By creating the new Sky, we will be able to use our collective strengths and expertise to serve customers better, grow faster and enhance returns." At this point last year, the figures were very impressive - revenues up 7%, profits up 9% and earnings up 18%. As the company has grown, so have profits and dividends for shareholders. The full year results announced today show that the growth continues with adjusted revenues up a further 7% to £7.6bn. Profits however were down 5% at £1.26bn and earnings per share the same 60p. The group added 3.1m new paid-for products, up 23% on the previous year. The board are proposing a final dividend of 20p (2013 19p) making a total of 32p for the full year - an increase of 7% covered 1.9x by earnings. The dividend has doubled over the past 7 years. Free cash flow has reduced by 3% to just over £1bn this year however net debt levels have increased marginally from £1.18bn to £1.2bn as a result of share buy backs and rising dividends. The expanded New Sky will result in higher borrowing for a period to part fund the new aquisitions. I think most people reading this will be familiar with this private client investment ‘supermarket’ and platform based in Bristol. Founded in 1981, they have grown rapidly and currently have over 600,000 clients and employ around 800 staff. In total, as at March 2014, Hargreaves Lansdown had approximately £45 bn of assets under administration or management on behalf of private investors. 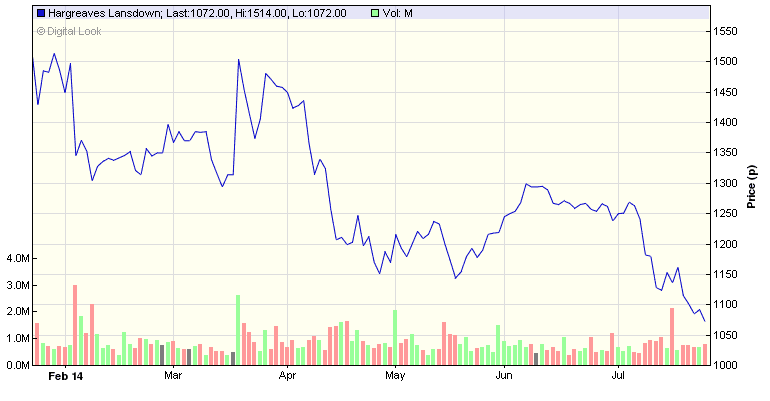 The company have been on my watch list for some time but until recently, I felt the share price was too high. In recent weeks however, the stock has fallen from favour and the price has pulled back from a high point of over £15 in the early part of the year to currently £10.55. The company is a member of the FTSE 100 with a market cap of just over £5 bn. Record level of Assets under Administration ("AUA"), an increase of £2.3 billion in the three months to 31 March 2014 to £45.7 billion (31 March 2013: £35.1 billion). Record quarterly net inflows of £1.83 billion in the three months to 31 March 2014 (2013: £1.80 billion). Record cumulative total net inflows of £4.63 billion in the nine months to 31 March 2014 (2013: £3.44 billion). Year-to-date total net revenue up by 8% to £216.0 million. I have been a little surprised at the degree of sell off - around 30% - since the Spring. Of course, there may well be further share price volatility but I view the long term story for HL as a positive given the opportunities arising from RDR and the recent changes to pensions announced in the March budget. The full year dividend last year, including special of 8.91p, was 29.59p. I am looking for an uplift of around 10% for this year- interim of 7p already paid - which will give a figure of around 32.5p and a yield of 3.1%. The full year results are due in early September. I was reading an article recently based on research from insurer Standard Life. It revealed that 75% of under 45s with a pension are not aware of the total value of their pension pot or the level of income they will receive from it when they stop working. This followed on from research by HSBC which showed that a worrying one in five Britons anticipate that they will never stop working as a result of not having saved adequately. The problem is that by not keeping a close eye on our pensions in the earlier years, we run the risk of falling behind and leaving any top ups until the last minute, when it may be too late to catch up. Alongside our homes, retirement savings are likely to be one of most peoples biggest assets. So by not keeping track of the value of pension pots and how they are performing, I believe many may be missing out on opportunities to take action and really are leaving themselves vulnerable at a later age. I started work in the early 1970s with a small family firm of solicitors. I am sure the individual partners in the firm would have taken care of their own pensions but there was no provision for staff. Some 8 or 9 years later, I did start a personal pension plan with London Life, but with a young family and mortgage to pay, I could not afford a great deal - maybe £25 per month from memory. I imagine a significant percentage of the monthly contributions would have been eaten up in charges. In my early 30s, I moved from private practice to a commercial position with an insurance company and the employment package included a decent non contrib. final salary pension. Some 5 years later however, I changed tack completely to become self-employed and start up a new retail business with a few friends. The main focus was to get the new business established, purchase equipment and stock as well as grow the customer base - this left little surplus in the early years of start-up for pensions although we did eventually get a modest plan sorted with the help of an adviser - but once again some high initial charges. Some ten years on and it was again a change of tack - into financial services and again, a half-decent pension package. 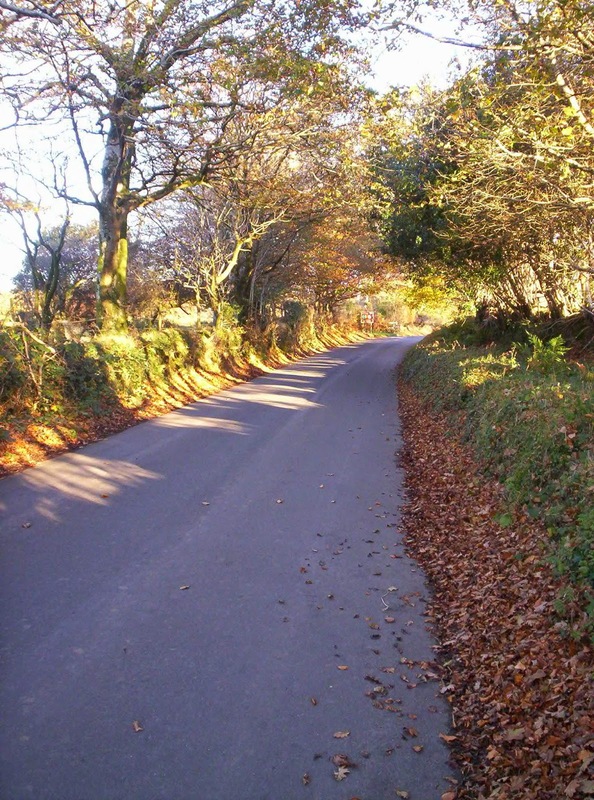 This lasted for around 5 years when it was time to move to join a partnership running personal development centre on the edge of Dartmoor, Devon - a further period of self-employment and only spasmodic lump sum pension contributions. 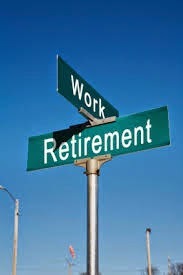 At the tender age of 55 yrs, the business was sold, I moved back 'up North' and I have since drifted into ‘retirement’. When I say retirement, I have done some voluntary charity work, moved house 3 times and written my ebooks. The above, I’m sure you would agree is hardly the text book model of preparation for a comfortable early retirement. Then again, I have enjoyed many challenges in my various career choices and would probably do the same all over again. The thought of working in a corporate legal environment - 9 to 5, suit & tie - for some 30 odd years with the certainty of a great FS pension at the age of 65 yrs leaves me feeling a little numb! In the mid ‘noughties’, I had been investing in shares and investment trusts for many years - initially in a PEP and later in an ISA. I started to compare the returns I was making against my various small pockets of professionally managed pension plans. More often than not, I found that I was able to significantly produce better returns and when I looked into this in a little more detail, I found that many of the pension plans were charging between 2% and 3% each year (at least) on the total value of the pot. To compound the problem, some of the plans had initial units subject to charges of 5% for the first 5 years. I concluded that these high charges were probably the main reason for the under performance of the plans compared to my own investments. The solution was simple, take advantage of low cost diy options and so open and manage my own SIPP with Sippdeal (now AJ Bell YouInvest) and arrange for the value of each plan to be transferred. No more pension charges! Having managed my own pension investments for around 7 years - including the downturn of 2008/09 when my investments were down around 30% at the end of the year - I came to a point where I was ready to take an income. I obtained a couple of quotes for an annuity but the rates offered were not attractive and furthermore I asked myself the question why I would want to hand over my lifetimes savings to an insurance company for such a measly return of around 4%. 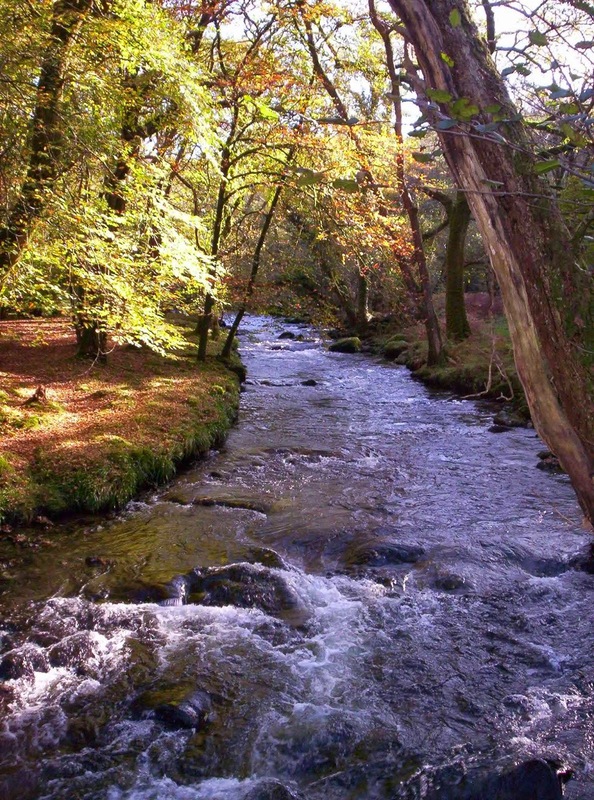 The decision to opt for income drawdown was simple - I retain control of the pot, I take a gradually rising income for the rest of my life and pass on the capital - subject to tax - to my children - simples! In recent months, there has been a significant change in pensions proposed by the chancellor in his March budget. From next April, I will no longer be limited by GAD rates but will be free to take as much or as little as I choose from my pension pot and all money withdrawn will be taxed at marginal rates. As I have very little other taxable income at present, the first £10,500 will not be subject to tax! During the current year the GAD rate has been increased from 120% to 150% which means I could increase my drawdown around 20%. OK, I’ve got my pot of money - the question posed is - how much can I safely drawdown each year without the pot becoming depleted - what is a long-term sustainable rate of withdrawal? The traditional answer based on many academic studies has been 4%. So, with a pension pot of say, £50,000 you should be able to safely withdraw £2,000 p.a. However, much depends on your preferred asset allocation. The classic AA is 60% equities and 40% bonds/gilts. Over the longer term, equities should provide significantly better returns than bonds, but are more volatile. For those choosing a safety first portfolio with a higher proportion of gilts, a rate of 4% may be too much. Indeed, in recent articles by both Monevator and RIT, the safe withdrawal rate may be as little as 3% or even less. My personal choice so far has been 60% equities and 35% PIBS and 5% higher yield bonds. The equities are held via a basket of mainly income focussed investment trusts. My strategy was/is to invest in the sectors of the market offering the best overall long-term sustainable yield - having done that, I then drawdown the income. The SWR for me therefore is not so much a percentage but more a case of whatever is generated by my investments without resorting to touching capital. Of course, the capital value of my portfolio will rise and fall with the general markets. When the value rises - as it has these past two years - the yield will fall when expressed as a percentage, and when markets fall the yield will rise. What is important is not this percentage but what I hope will be the actual income from the portfolio rising year on year to keep ahead of inflation. So far, seems to be working - as they say, if it ain’t broke, don’t try to fix it. In addition to any provision for personal pension, I have always believed that I would receive a full state pension at age 65 yrs. From time to time, I have received a forecast of the amount I would likely receive which seemed to be around £5,500 p.a. - this included an element of SERPS/S2P. The government have recently introduced the new flat rate pension which takes effect from 2016. I will reach state retirement age after this and so should receive the full rate of around £145 per week or £8,000 p.a. less some adjustments for periods when I was contracted out. 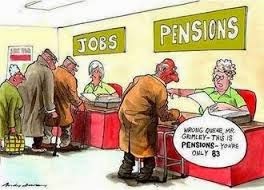 I am probably one of the lucky ones who will still receive the pension at age 65 - for those not much younger, the starting age will be 66 yrs and for those just starting work today, I imagine they will be lucky to see any state pension before age 70 yrs. The net effect of combined SIPP drawdown and state pension will, I believe, more than adequately provide for my modest needs. I am not sure however this would be the case if I were to rely just on the state pension alone. Although I have never been a particularly ‘high earner’ by which I mean higher rate tax payer, and have made several changes in employment direction over the past 40 years or so, I feel the cards have, more by luck than planning, fallen favourably. If I had known then what I know now, the one thing I would have done differently would be to start some sort of pension far earlier to allow the effect of compound returns an extra decade to work its magic. I think this single aspect could well have resulted in my final pension 'pot' being doubled. That would be the main advice I would give to young people today starting out in the world of work - start your pension sooner rather than later. As ever, I would be interested to hear how others have fared with their own plans and what advice they would pass on to others. Leave a comment below. Following on from my end of 2013 review, I have just reviewed my portfolios - sipp drawdown and ISA - for the past 6m to the end of June. My portfolio is allocated between fixed interest (40%) and equities (60%), which in turn are divided between individual shares and investment trusts. Since the start of 2014, the FTSE 100 went up and then went down and ended the 6m period down 5 points at 6,744 - if we factor in say a further 1.7% for dividends paid, this will give a ballpark figure of 1.6% total return for the half year. My resolution for the new year was to try to become a little more patient with existing share holdings. There have been a couple of sales - Dialight was disposed in January following a further warning on profits and in March, I decided to take profits on Carillion and recycled the proceeds into a repurchase of engineer IMI Group. In recent weeks there have been a few additions to my portfolio - food wholesaler Booker Group, house builder Berkeley Group, and most recently, a repurchase of packaging specialist DS Smith. I have also topped up my holding in retailer Next. There is no doubt that individual shares are much more volatile than collective investment trusts. For example, the price of easyJet fell over 6% in just one day following a broker downgrade - for me, and maybe other small investors, it is this volatility aspect which causes most problems. Having said that, if you are prepared for a rollercoaster ride, its never going to be boring! 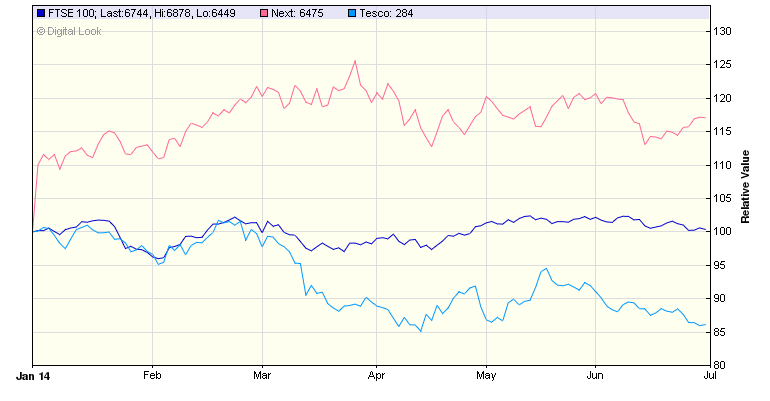 As can be seen from the chart, the differing fortunes of Next and Tesco over the past 6 months has made quite a difference to returns. They have been very much a mixed bag over the past 6 months, providing a total return of 3.1% which is better than the FTSE 100. The better performers have been Next (20%), Reckitt & Benckiser (8%), Unilever (11%) AMEC (13%) and Imperial Tobacco (16%). Some that have struggled over the first half are supermarkets Tesco (- 15%) and Sainsbury (-12%), soft drinks company Nichols (-16%) and recent additions Booker (-12%). It is pleasing to see the shares have provided a better return than my investment trusts. Total income on shares over the period is 1.7% . With the exception of smaller companies, most investment trusts are just about in positive territory. Total return, comprising almost entirely income, is 1.8%. A year ago I purchased the Vanguard All World High Yield ETF to use as a benchmark for the performance of my actively managed investment trust portfolio. The total return on this tracker has been a respectable 3.4% so this could indeed be a handy benchmark against which to assess the equity part of my portfolio as a whole. Once again, the PIBS and fixed interest sector has provided the better return with 7.5% over the period which includes income of 3.2%. As this represents around 40% of my total portfolio, it has helped to boost the overall return to 3.9%. Total income so far is 2.2% and it appears the portfolio is on course to deliver income of around 4.5% for the full year. I hope to take the opportunity of adding further funds when my house purchase is completed and take advantage of the increased ISA limits - from today £15,000. As ever, I would be interested to hear how others have done over recent months - leave a comment if you keep track of your portfolio.